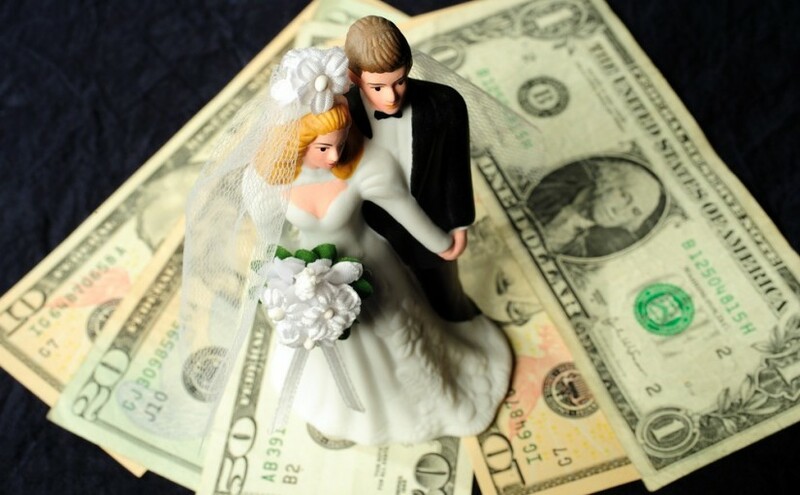 Many couples differ in their methods of spending and when you agree to wed, it may come as a shock to discover that your future spouse doesn’t exactly have the greatest finances. Marriages often revolve around the idea of compromise and honesty. Even so, around 50 percent of all marriages will end in divorce, many of which are caused by lack of communication and money troubles. In this article, you will have the opportunity to see what kinds of monetary stresses couples face and how they can be resolved with minimal conflict. The problem with losing a job is, for the most part, a lack of multiple incomes for wedded couples. While it is unfortunate, you have to start tightening your budget in order to survive. If you haven’t done so already, make a note of both of your debts, expenses, and account totals. Start with your static expenses such as your rent or mortgage, car payments, student loans, and any other necessities. Next, you’ll want to write down your variable expenses which can change according to your lifestyle and work on reducing them. Designing a budget based upon this information will reduce your chances of requiring emergency cash. Following this method could also help with future finances, even after your spouse returns to work. Though you are now in an equal partnership, the debt may not be equal for both parties. Make a financial plan to get yourselves, as a couple, out of debt. If nothing else, avoid getting married until you can afford it or until you have paid off your negative balances. Sit down with your partner and decide what you can afford to spend on various expenses. Don’t be afraid to compromise when deciding what is necessary and what isn’t. Just don’t sacrifice your finances for things you don’t think you can absolutely afford. Life is always going to throw those curve balls at you and if you’re financially unprepared for these little hitches, you may find yourself in a hole. If nothing else, this will give you financial security and ensure that you both can sleep at night. By the time you establish a fund, it should be able to support the two of you for at least three to six months of unemployment. Although it may sound grim, looking into getting a will drafted up in the case of you or your new spouse’s untimely death may be wise. It may sound like the American dream to buy a house after you get married, but it may not be a reality. Before buying, realize your house payments shouldn’t exceed more than 25 percent of your pay after taxes, though you might bump that down to 15 percent if you’re unsure about the future. It’s important to keep in mind that it costs around $300,000 to raise a child from diapers to college. Babies also require a lot of time, patience, and a definite plan for emergencies so don’t put off saving up money. Keep the unexpected expenses in mind, the cost of college, and the possibility that you’ll be sending them money after they graduate while they work to secure a career for themselves. Regardless of all your careful planning, if you run into an emergency situation you’ll always have the ability to get money. Marriage is a bond between two people and is the start of managing everything together as a team. One person’s financial problems can quickly pull down the other if you don’t manage it wisely from the beginning. Next Next post: Incoming Fruit!